On our way back to the Netherlands, we planned for one more day trip – to Reims located in the heart of the Champagne region of France. After a big brunch, we packed up the car and headed north. Arriving at the Vranken Pommery Estate was a bit like arriving at Disneyland. I love the Neo-Elizabethean architecture and the powder blue buildings! The tour was really great – I definitely would recommend visiting if you’re in Reims. The story of Madame Pommery is inspiring. In 1860 her husband passed away and she took control of the champagne house and turned it into what we know today! 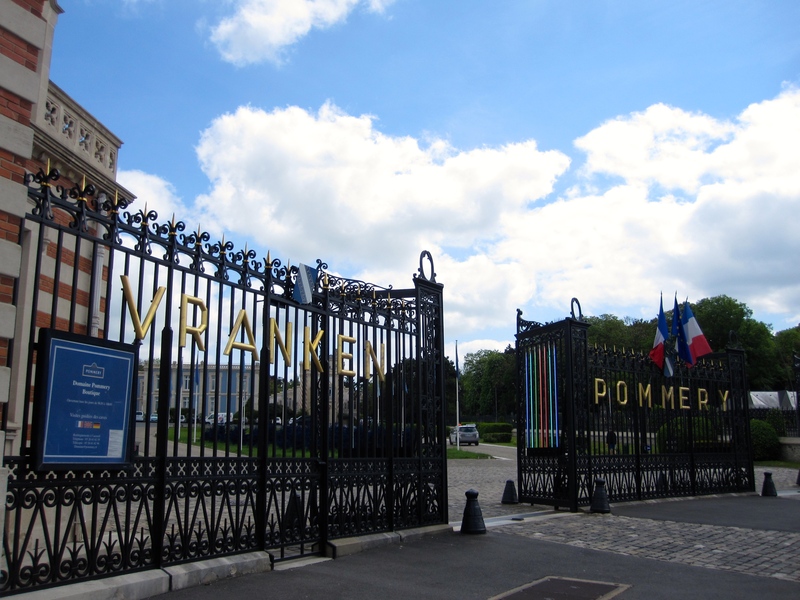 Can you imagine being a widowed mother of 2 in the late 1800s growing and managing the Pommery Estate?! After our tour and champagne tasting, Koen’s sisters headed home, while Koen and I explored the city and had dinner with his parents in the city center. Because we spent the first day at the house relaxing, for Saturday we planned a day trip to Beaune, known as the “Capital of Burgundy Wines”. Where better to take a walk through the vineyards, visit a chateau, and taste a few wines? We began our day in Beaune with fuel for the rest of the day – aka coffee! After our caffeine boost, we headed to the Parc de la Bouzaize for a family picnic. We already packed the necessities – French cheese and fresh vegetables – and picked up fresh baked baguettes while walking through the city. After lunch, we took a walk through the park which ultimately led us to the vineyards. What a breathtaking view. This was the first time I’d seen a vineyard. 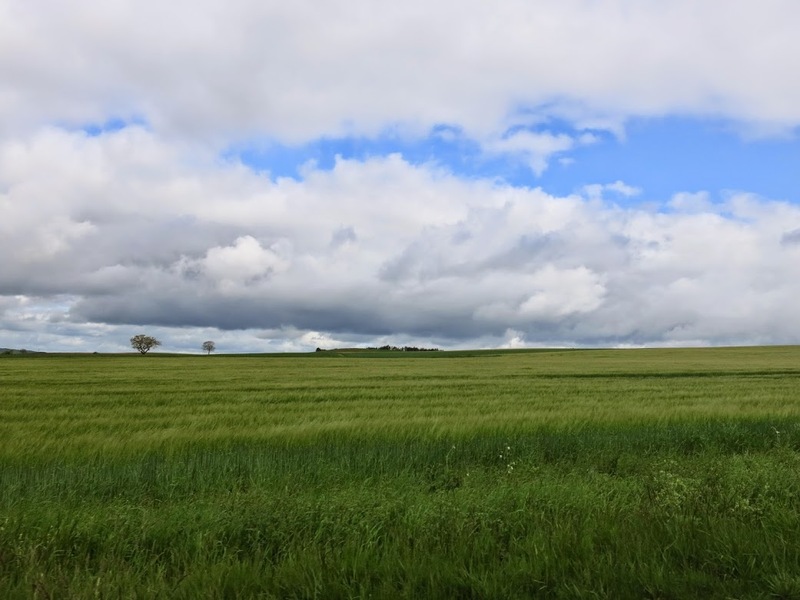 In Beaune, there are many routes you can walk through, and we took the one up a hill and were able to overlook not only the vineyards, but also the city of Beaune. The sun was shining, the sky was clear and blue, I had to keep pinching myself to know it was all real. In 1820 Bernard Bouchard purchased the Château de Beaune, a former royal fortress built in the 15th century by King Louis XI. Four of the five original towers of the fortress, as well as parts of the ramparts, still stand today, and have featured on the list of historic monuments since 1937. The cellars run deep underground beneath the property providing ideal natural storage conditions for Bouchard Père & Fils’ fine wines. Up to 10 metres deep, the wines develop and age undisturbed. These include a unique collection of over 2,000 bottles from the 19th century. A priceless historical legacy with, as its icon, the oldest wine – a Meursault Charmes 1846 which still retains its luster. After our tour of the Château, we were able to sample 6 wines – 3 red and 3 white. Koen and I couldn’t leave without buying a few bottles! A trip to Burgundy wouldn’t be complete without a typical Burgundy meal – boeuf bourguignon, a meat stew made with red wine (from Burgundy, of course). For dinner we made reservations at 21 Boulevard, a restaurant specializing in the food of the region, located in a 15th century cellar. It was a great way to end our day in Beaune! May 2015 marks the 35 year wedding anniversary of Koen’s parents Dook and Els. All of the children wanted to do something special, so we planned a weekend getaway to Burgundy, France for all 8 of us. The date was made known, but the destination remained a suprise until the day we departed! 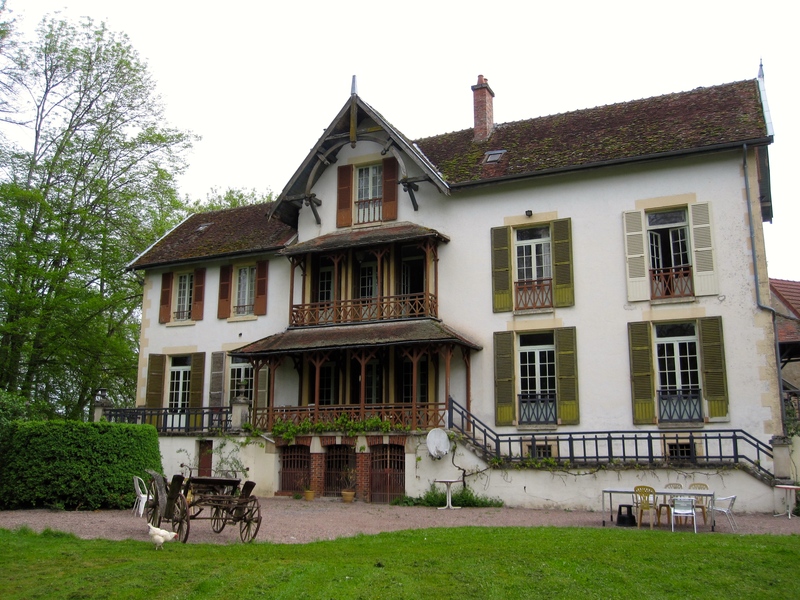 We chose a beautiful house in Saint-Germain-Des-Bois, in the countryside to stay for the weekend. Koen and I drove down with his parents. To break up the trip, we made a quick stop in Péronne for lunch and to stretch our legs. Péronne is in Picardy, France and boasts a big history for such a small country town. The Museum of the Great War is located in the old chateau, and the whole city has statues and monuments dedicated to the Australians and WWI. Why Australia? I had the same question and looked it up once I was back home in Antwerp. At the Battle of Mont Saint-Quentin, Australian troops stormed, seized and held the key height of Mont Saint-Quentin (overlooking Péronne), a pivotal German defensive position on the line of the Somme. The four of us arrived in Saint-Germain-Des-Bois at Moulin du Merle, at exactly the same time as Koen’s sisters. We had already done groceries and enjoyed the evening cooking together, drinking wine, and playing games all night!